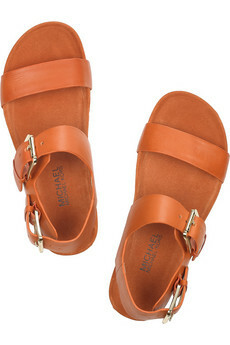 these Michael Kors sandals. almost too close to my mama's jesus sandals but orange enough to still be considered cool. orange enough? orange ya glad I didn't make one of those joke again? me too.